It’s a new year, which means that, inevitably, you’ll have to double down on those resolutions you made for yourself. Many of us would’ve also made a promise to be more active and spend more time surrounding ourselves in nature. Luckily, South Africa – and specifically the Mother City – is the perfect place to combine two of (what is sure to be) the most popular new year’s resolutions. Whether you’re an experienced trail runner, or you simply enjoy a steady hike every now and then, Cape Town is home to some intricate and jaw-droppingly beautiful nature and hiking trails. These trails perfectly encapsulate the beauty of Cape Town and all its fauna and flora, all whilst getting you to get up and get moving. To help you kick start your new year (and, as cliché as it sounds) your new you, we’ve put together a list of our favourite nature trails for you to explore. Ah, the quintessential Cape Town hike. Have you even been to Cape Town if you haven’t been up Lion’s Head? Besides being an extremely popular spot for Instagram influencers et al, Lion’s Head truly is one of the most beautiful and most rewarding hikes you can do in Cape Town. The hike itself is not as strenuous, meaning it is perfect for hikers of every level. Reaching the summit should take you no longer than an hour and a half (depending on how busy the Head is – it tends to fill up rather fast on clear, sunny days) and once you reach the top, you are rewarded with insanely beautiful views of the city, the Atlantic Seaboard and Table Mountain. Nestled between the top of Kloofnek road and Camps Bay, Pipe Track is an absolute must for trail running enthusiasts. Named after a literal pipe track that ran from Disa Gorge to Cape Town in the 1800s carrying water, this beautiful track is more intricate than some of the other trails in Cape Town. However, this does not mean that you have to be a trail running fiend to enjoy everything the track has to offer. Stunning views, lush fauna and flora and an abundance of ups-and-downs makes it easy to see why the Pipe Track is a local favourite. The trail can be done in about two hours. It starts at the junction between Kloofnek road and Tafelberg road and ends in beautiful Camps Bay. A pro tip: once you’ve done the treacherous trail, why not treat yourself with a sundowner at the gorgeous Camps Bay Retreat in Camps Bay? You deserve it! 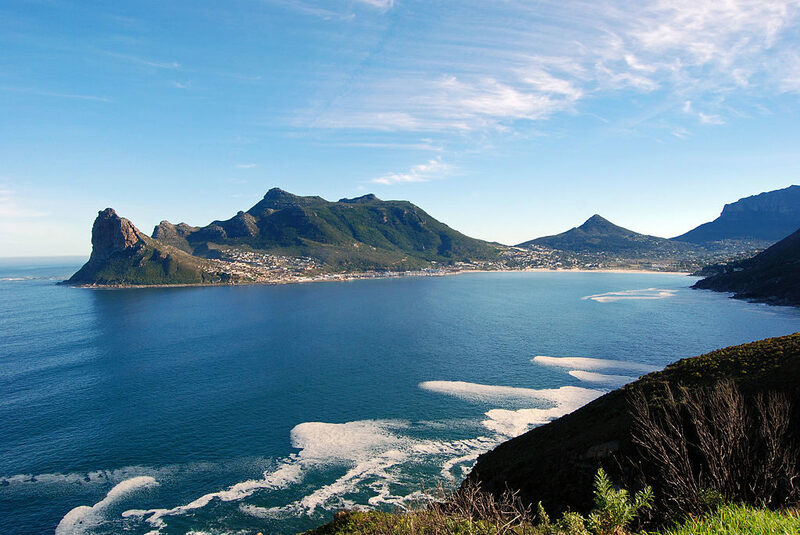 Chapman’s Peak is internationally renowned for its sheer beauty. Chapman’s Peak Drive is the more famous part of this stunning piece of land, but did you know there is a fairly easy trail up the mountains on this famous drive? Starting at the toll booths on Chapman’s Peak Drive, the trail will lead you on a hike up the mountains. The hike up and down can be done in two hours or less, so it’s perfect for trail runners or hikers of any level. Once you’re at the top, you’ll be able to bask in the beauty of Hout Bay, nestled in the valley at the bottom, as well as take in the amazing views of Noordhoek and Fish Hoek. It’s important to remember that Chapman’s Peak Drive is often closed in the rainy months, as the mountain face is prone to rock falls. So be sure to check whether Chapman’s Peak is open to the public before putting on your hiking boots. The most strenuous on this list, Platteklip Gorge is loved by locals. Challenging, and not for the faint-hearted, Platteklip Gorge is the most direct route to the top of Table Mountain. This obviously means that, once you have conquered the trail, you’ll be rewarded with stunning views – and the inevitable ‘on-top-of-Table-Mountain’ selfie. 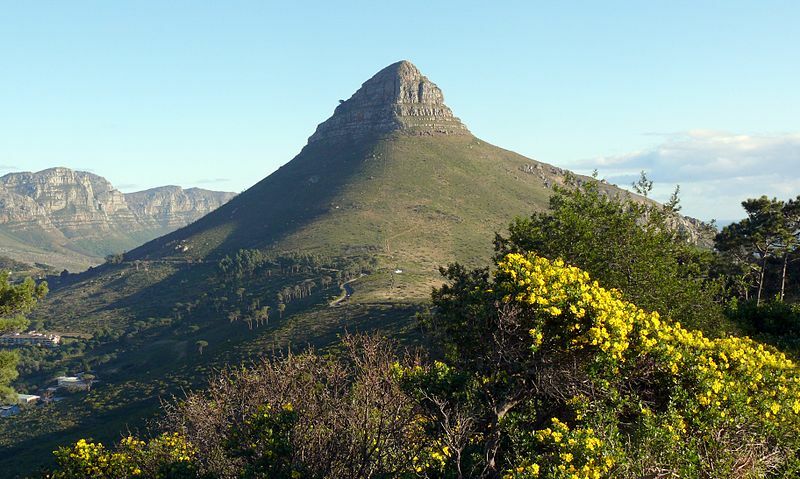 The trail starts on Tafelberg road, just a kilometer or two away from the cableway station. The hike is smooth, but steep, and doesn’t offer much shade on the way up – which is why people recommend to do this hike in the cooler months. The hike can be done in 2 hours (emphasis on can) but will probably take a little longer. Once on top, you’ll be treated to beautiful views of the Mother City in all her glory, as well as Table Bay and the harbour. So, whether you’re looking for a nice and easy hike to ease into 2019, or if you want to grab the bull by the horns, there are stunning, beautiful nature trails around almost every corner of the city.